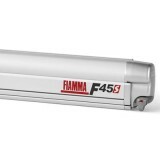 The compact and lightweight awning, secured inside its aluminum case. It adds a new dimension to your vehicle. 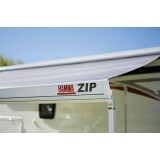 Rhino Installs supplied and fitted Awnings for your motorhome or campervan. An awning is the simplest way to increase your living space on a motorhome or campervan, which brings part of the pitch next to your unit under cover. There are awnings to fit all types of vehicle, and since there is such a variety of motorhomes on the market, you will need to check whether your chosen awning will fit your particular model before you buy. 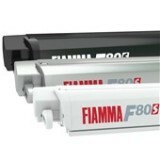 Please contact us to check the awning you require before purchase if required. If you already have an awning, we can fit yours for you. Please contact us with details of your awning and we will be happy to help. Awning Installations carried out by ourselves. Click here for pictures of our awning installs.